Alfred Simpson who is suing the council after an accident he sustained at work. 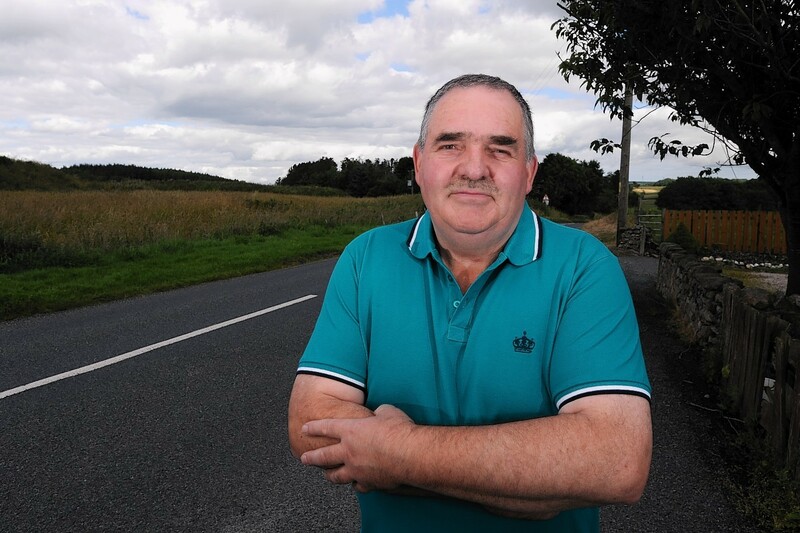 A north-east lorry driver who claims he crashed after his brakes failed is suing his employer. Alfred Simpson was off work for four months after the lorry he was driving for Aberdeenshire Council left the B9005 Fyvie to Methlick road last year. The 64-year-old was driving the lorry – which was hired – to Methlick Quarry, and when he tried to slow down the lorry crossed the road, hit a grass bank and ended up on its side. Now he has launched legal action against the local authority at the Court of Session in Edinburgh, and is seeking about £10,000 in damages. Mr Simpson, from Ellon, believes a fault in the braking system caused the lorry to lose control. He said: “I applied the brakes but they seemed to be working on one side. “The lorry veered across the road, hit a grass bank, spun around and then flipped over. “It was completely blocking the roads and I was looking the way I came. He was spotted by another driver and then taken to Aberdeen Royal Infirmary with five fractured ribs. His injuries meant he was off work for four months after the incident in March last year, and still encounters back and neck pain. The vehicle he was driving had been hired by Aberdeenshire Council from JMS Equipment Ltd, based in Turriff. A spokesman for his solicitors Digby Brown said: “We have raised a court action on Mr Simpson’s behalf. employer, even if the equipment is hired, as it was in this case, from a third party. “Employers in the north-east have responsibilities to protect those that work for them and ensure they can carry out their jobs safely. A spokeswoman for Aberdeenshire Council said she could not comment as the legal case was ongoing.